When you read the title of this booklet, did you immediately think of water? If so, your response is like that of the vast majority of Christians. 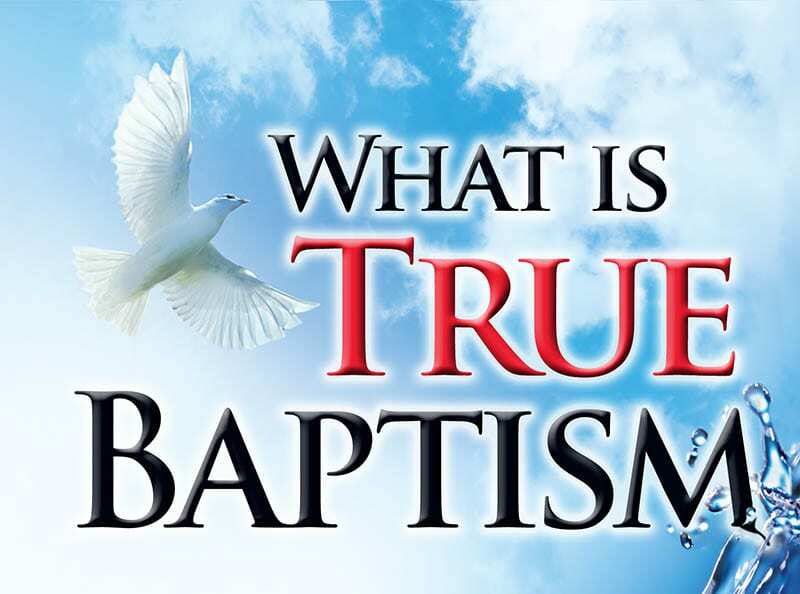 But the question we must ask is why the word “baptize,” which actually means “to dip” or “to immerse,” has become almost solely associated with water, when, biblically speaking, there are other “liquid” alternatives to be considered? Discovering the answer to that question will help us solve a problem that has for centuries caused great division among dedicated and well-meaning Christians. Our goal is to find out what is the “one baptism” prescribed for the Church, as per Ephesians 4:5. The fact that most Christians throughout the centuries have equated baptism with water is very understandable. As we will see, water baptism was prescribed under the Mosaic Law. Jesus himself was baptized, and many early Christians practiced water baptism during the first years of the Church. But do the Church Epistles, that section of Scripture specifically addressed to believers living in the Church Administration, which began on the Day of Pentecost and will end with the “Rapture,” call for this practice? Scripture shows that the old, ceremonial, outer washing in water prescribed in the Mosaic Law for Israel pointed toward, and has now been superseded by, the new, actual, inner cleansing in holy spirit (the divine nature of God). The old water baptism could not, and still cannot, change the heart of a man, but the spirit of the Holy God can revolutionize a person from the inside out and enable him to be like Jesus Christ, his true Baptizer. If you have been taught the traditional doctrine of water baptism, you may find that what you read in this booklet is more spiritually invigorating and liberating than the belief you now hold, and that it also opens up greater possibilities for more powerful Christian living.